For the second time my electric starter on the '27 stopped working. Last time I took the switch apart and cleaned up. Not that. It turned out to be a bad solder joint under the stud to the first field. I guess I'll pull the starter and bench test it. Now that it has four re-built coils, the thing runs better than ever. Hand starts easily. The wife and I did our first cruise night, at the nearest ice cream stand. We even took the highway (45 mph) for part of the run. We kept up with traffic. In fact we were ahead of a long string of cars. Do you have an extra ground strap from the engine to the frame ?? My car had that issue. oops my packing nut lock is slipping off. Now, the way I made this discovery was with a set of jumper cables and the good battery in my modern car. 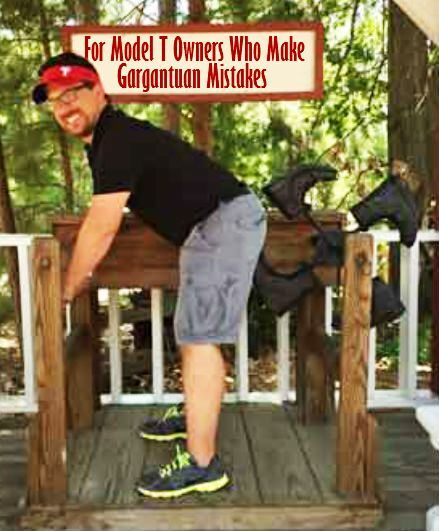 -If you can jump-start your Model T, you should suspect the battery as the problem.-The best way to learn from mistakes is when somebody else makes them. The battery seems good. Ammeter shows charging. Lights and horn work. Radio... wait there is no radio. Electrons don't seem to be making it to the fields. I'll dig into it this weekend. I'm suspecting your solder joint again. Did you use lead/tin solder, or silver solder? Not silver. Some old stuff I have used for electrical repairs. There is a connection inside the starter where the cable bolts on. This often comes loose when you replace the cable or remove and re-install it. If the bolt rotates it can break that connection. 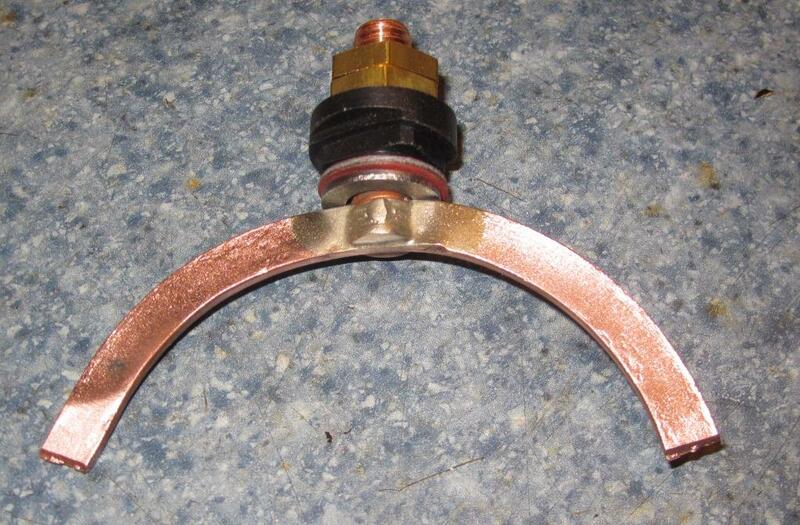 There is a u shaped copper piece which is soldered to the field windings and that screw connection is fastened in the middle. Check that out before you replace the whole starter. Someone on the forum will probably have a picture to post so you can see it. I think that is where I had trouble before. There was an open to the terminal stud. Maybe my soldering job failed now. Everyone, There should be two nuts on the starter terminal. The lower one is there to hold the terminal in place and should be kept just firm. When the cable is fitted, the second nut holds it down. The problem comes when one gets heavy handed on the top nut to make a firm connection at the lead. Wrong!!! You should have a slim spanner to engage on the lower nut so that it is held stationary. 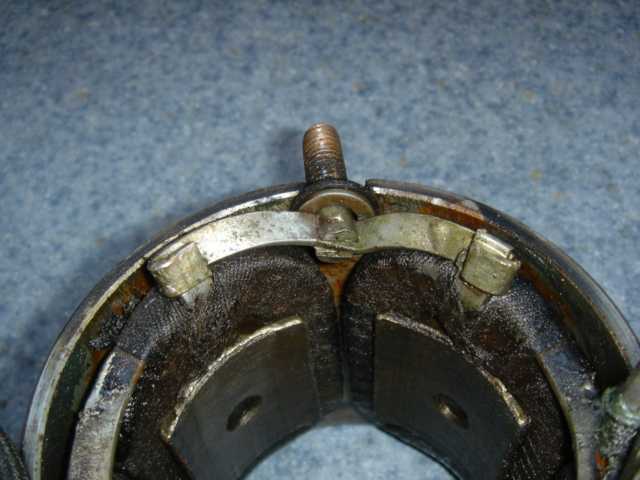 When the top nut is wound down it becomes a locknut against the lower nut you are holding. 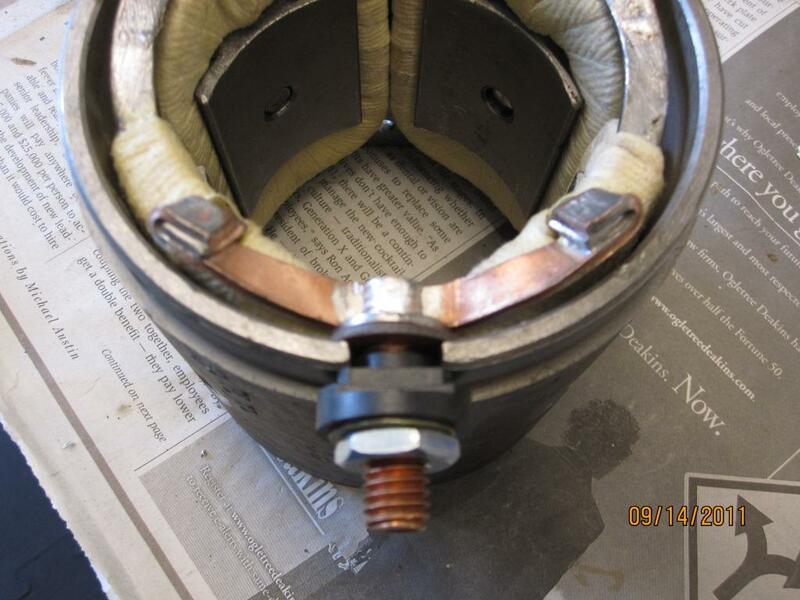 This stops the whole stud from rotating and breaking the solder joint inside the starter. Having read about twisting the copper link below the stud I used a Dremmel and put a slot in the stud for a straight blade screw driver. I then tightened the lower nut using a screw driver to keep the stud from turning. Then again when tightening the upper nut the screw driver held the stud. I like Allan's method of the thin wrench holding the lower nut but the screw driver technique worked for me. If one simply "snugs" the lower nut down on the stud to the insulator then install the cable, run the second (top) nut down THEN while holding the starter cable stationary, snug down the top nut - no need to torque on it ! I don't think that stud was ever soldered to the buss bar, just pinched & riveted from the factory. I have rebuilt over 500 Model T Ford starting motors and can assure you the terminal bolt to field buss bar connection was originally pinned and soldered. 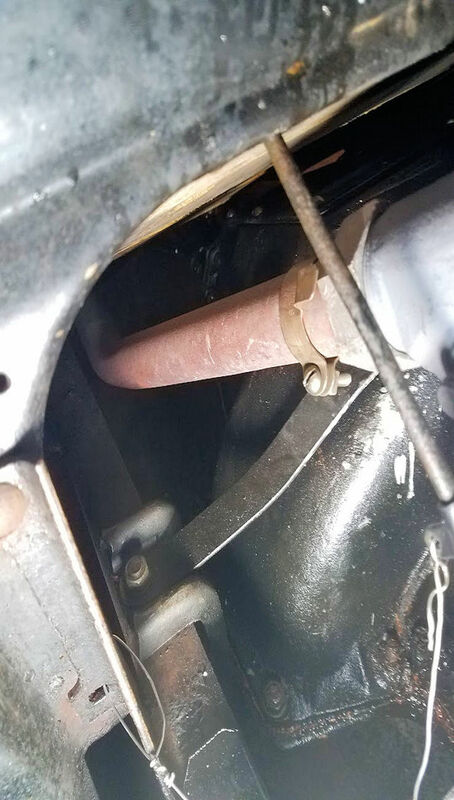 Failure of this connection is the number one cause of starting motor failure. I have found the best way to prevent this damage is to use the methods recommended by Allan and Steve. There is available a simple fix for this problem that is a new part with a pinned and silver soldered buss bar connection. I have tested this replacement part and the buss bar will break long before the silver soldered connection fails. The only problem is you need a 250 Watt soldering iron and some coaching on what to watch for to complete the fix. I like that fix. Thanks. Thank you Ron. I will remember that. Could be the ones I have worked on were broke free and missed the solder because of the coating on the buss bar.